Mystery Online Losing Players Revealed! The world of online poker has long since wondered: Who are the players behind the anonymous usernames especially when they can afford to lose millions of dollars? Well up until recently, the identities two of online poker’s mystery players, “samrostan” and “MalACEsia”, were completely unknown. This unknown has been confirmed by Pokernews to be Paul Phua, who in 2012 was noted to be one of the most influential VIP gaming promoters in Macau. 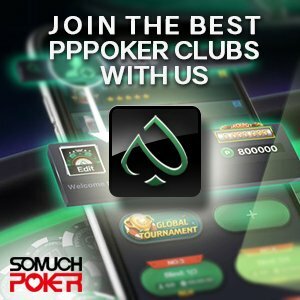 He is currently more known as one of the key players of The Big Game, the nosebleed cash games at Poker King Club in Macau, very likely the biggest poker game running on a regular basis. He is, according to the rumors, one big winner over there. More important, his involvement in this game is not limited to confronting the best players of word for millions of dollars. He is supposedly staking (investing in) several pro players who have the skill but not the money to play the Big Game in Macau and his connection and contacts with the Asian high rollers community has contributed massively to the raise of the Macau poker scene. “MalACEsia” also plays on both PokerStars and FullTilt Poker. His online play does not seem to mirror his live game success, as his graphs on HighstakesDB show a losing trend. As of May 2014, he is down over $5million combined from both sites. PokerNews confirmed these usernames to be property of Chun Lei Zhou out of Macau. “samrostan”, previously known as “patpatpanda” from the site FullTilt Poker, is the fourth biggest online loser of all time, according to HighstakesDB. Chun Lei Zhou used the name “patpatman” on PokerStars. He’s lost over $10.2million on these three sites combined. Zhou has faced such pros as Phil “OMGClayAiken” Galfond, Vicktor “Isildur1” Blom, and Phil Ivey. No matter his opponent, Chun Lei Zhou loves to play poker. He liikes online games at the highest stakes, and will play long sessions, often up to 16 hrs at a time. “I keep playing, that’s when I lose a lot. Sometimes you have to know when to quit, but I never quit. When I’m winning, I want to bust them.” Zhou says. Chun Lei Zhou is also no stranger to high stakes live games. He’s sat the big cash games in Macau numerous times. He is a bold player, if anything, having recently tried to double-float and bluff-shove on German poker pro, Phillip Gruissem, in the 2014 PokerStars and Monte Carlo Casino EPT Grand Final 100,000Euro Super High Roller. Gruissem bet 55,000 on a JsAs9c, Kc,10s board. Zhou went all in for around 240,000. His opponent insta-called. Zhou’s hand? The 6 and the 4 of diamonds, and Phillip ended up having the king and queen of spades for the Royal Flush. “I always play 100% of myself. I still lose a lot, always lose.” Zhou says about his tournament play.